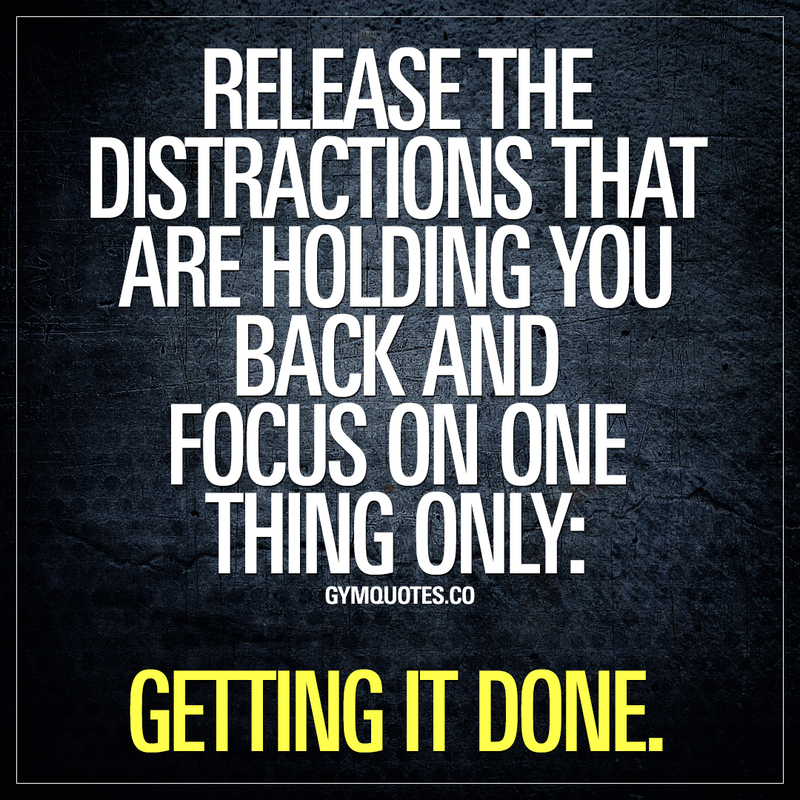 Gym Motivation quote: Release the distractions that are holding you back.. Most of us have things our lives that in one way or another distracts us from getting it done. It could be things, activities or people. Regardless of what it is in your life that distracts you from getting it done, remove it and you’ll be able to get to your goals MUCH faster. Once you identify and are truly AWARE of your distractions it will be much easier to avoid/remove them. 👍 It’s Monday! New week, new goals: time to get it done! This gym motivation quote (image and text) is copyright © Gym Quotes 2019.